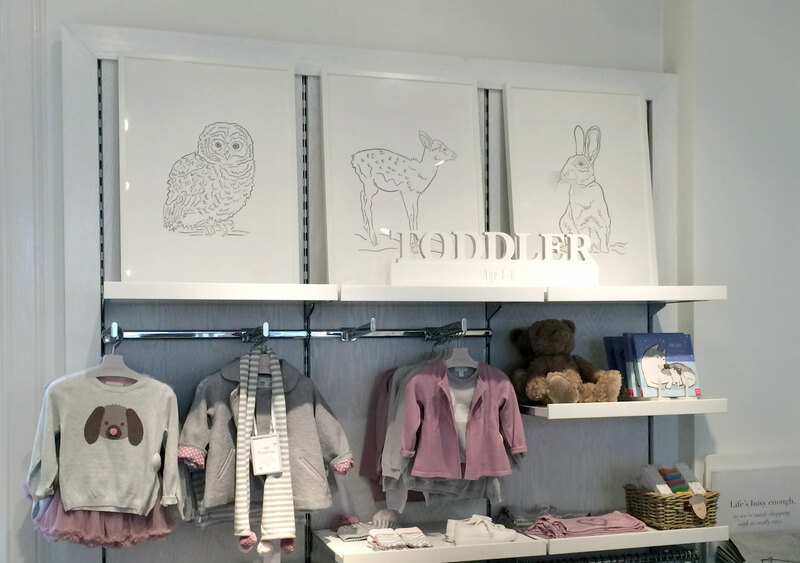 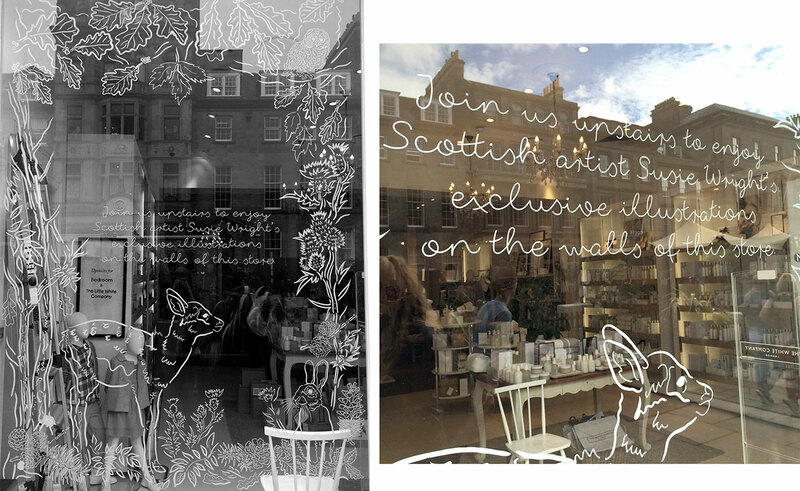 I was commissioned by The White Company to create a series of illustrations for their Edinburgh store. 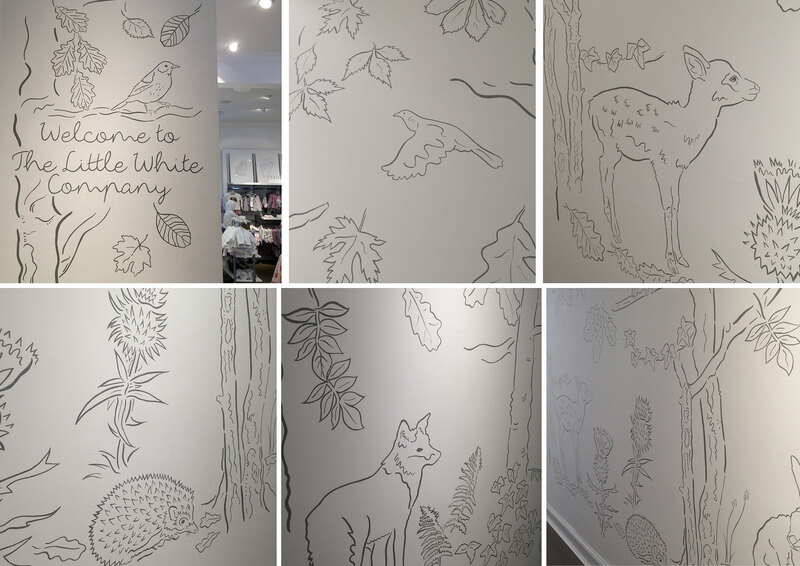 The nature inspired images were then painted directly onto the corridor walls leading into the children's section in the beautiful George Street store. 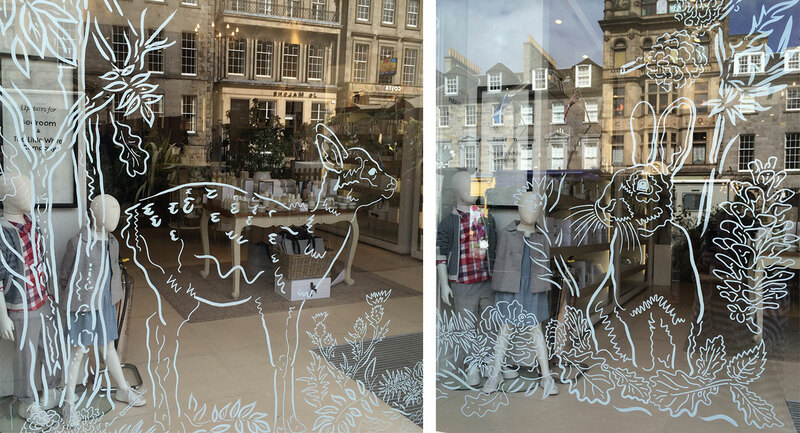 A special window display was also commissioned as well as a series of three hand made screen prints.